2mm thick, acid free & archival quality card. Extremely lightweight, adaptable and affordable. A durable and rigid option perfect for public display. 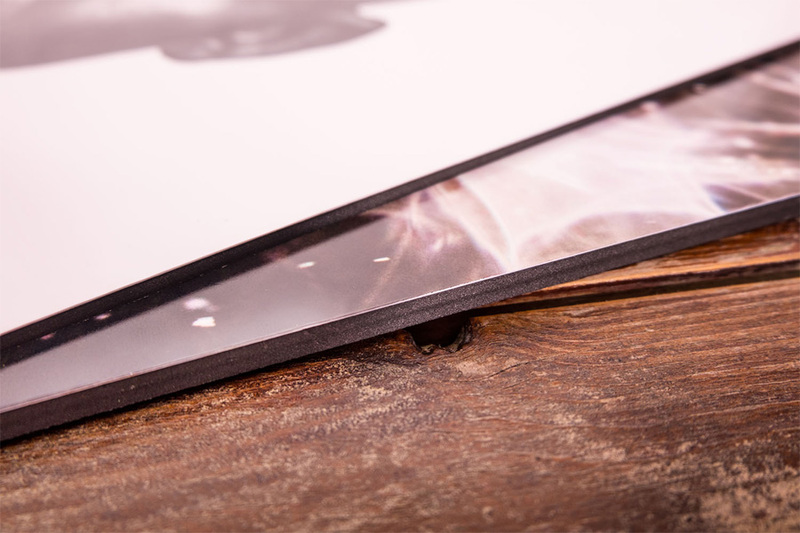 A stylish black alternative to our standard Foamex. Durable and rigid, our MDF can come plain, with painted edges or edge banded. A lightweight composite of aluminium and PVC. A clean, natural finish that suits countless styles of image. 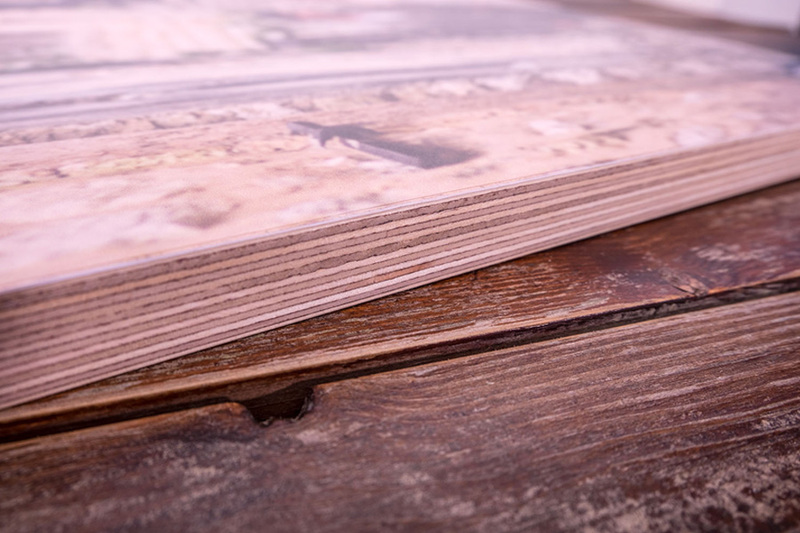 Protect your work with our stunning crystal laminate. Our 2mm acid free, archival quality card is our most affordable backing option and gives a simple, clean finish to your images. Perfect for competition submissions, image displays and shows. 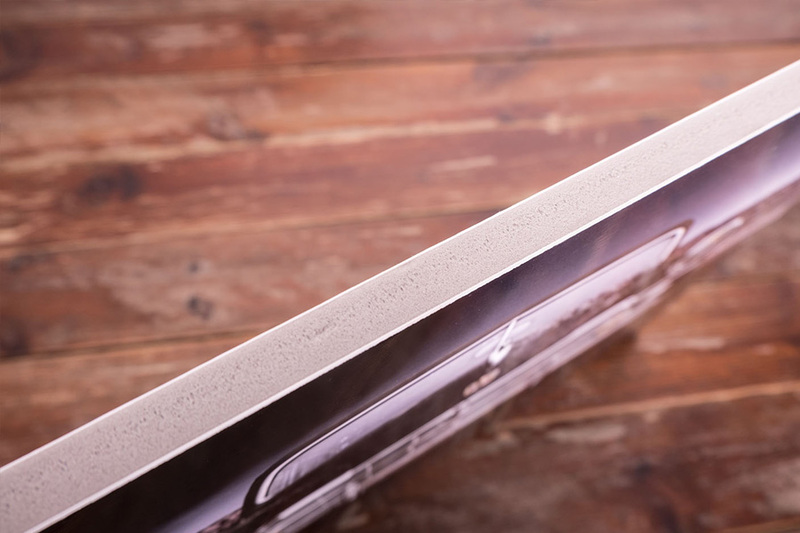 Also known as foamcore or kapa, foamboard is an extremely lightweight, adaptable and affordable mount option. Available in 5mm and 10mm thickness options. Foamex is an exceptionally high quality PVC substrate. 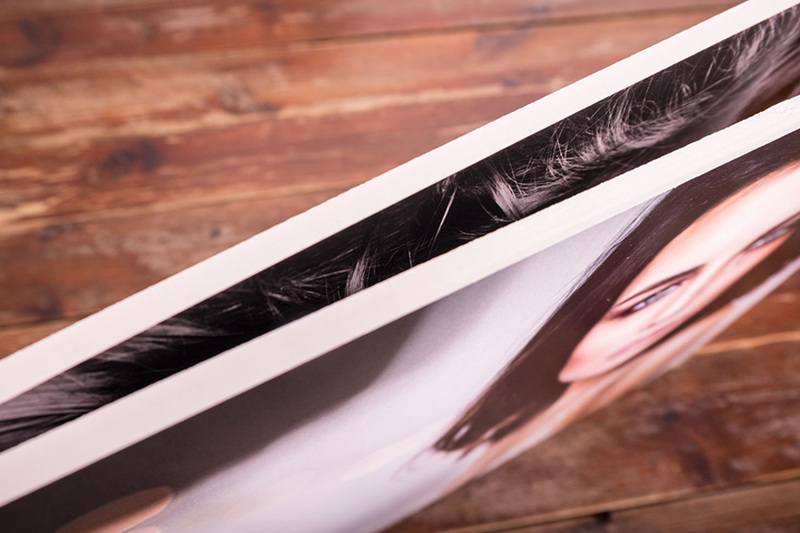 Hyper compressed, the Foamex is a durable & rigid option – perfect for public displays. Available in 3mm and 5mm thickness options. A stylish black varient to our standard Foamex – an exceptionally high quality PVC substrate. Durable and rigid. A incredibly tough and cost effective way to display a variety of print types. 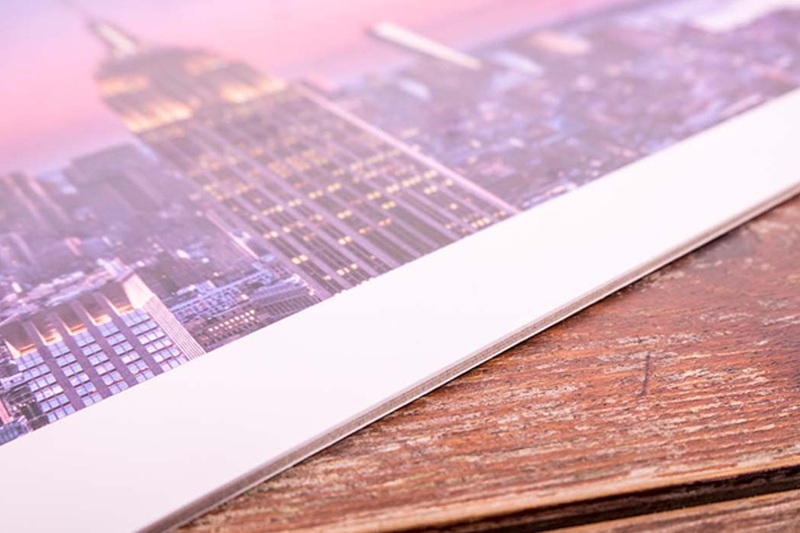 The 12mm thick MDF mounts can come either uncoated, painted either black or white or with edge banded finish. The edge banding is available in three colour options; whitewash, black or oak. Please state in your notes section of your order which finish you would prefer. Aluminium Dibond is a lightweight composite of aluminium and PVC. Incredibly tough and hard wearing yet very lightweight – perfect for displays or exhibitions. 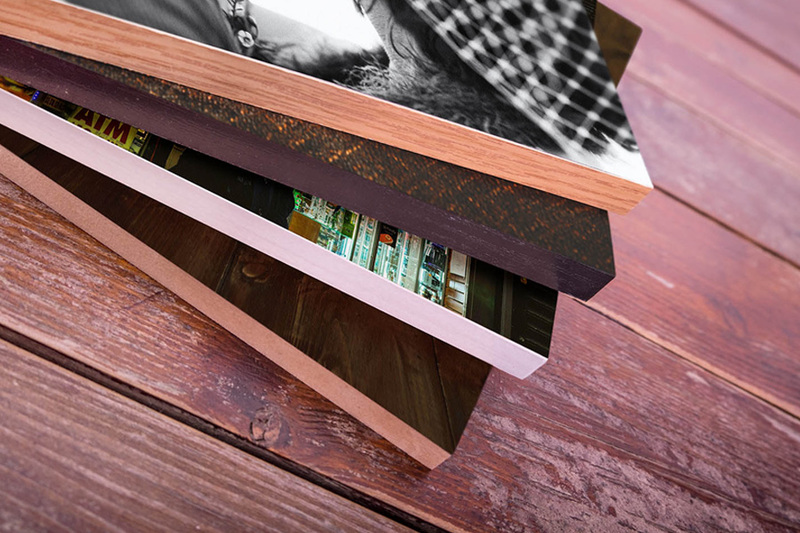 The natural edge pattern of the 18mm thick birch wood provides a clean, natural finish to the product that suits countless different styles of photography and the treated wood finish on the back of the block makes this a stunning product to hand over to your clients. The birch wood comes beautifully finished and precision cut by master craftsmen here in the heart of Newcastle. 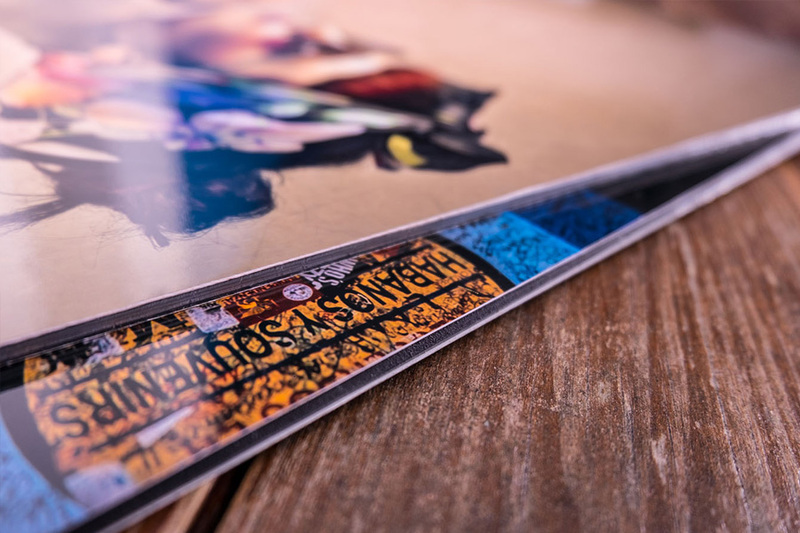 Our stunning, scratch resistant crystal laminate seal is a protective acrylic coating that is especially useful for protecting prints hung in environments that make them more vulnerable to being marked or damaged. 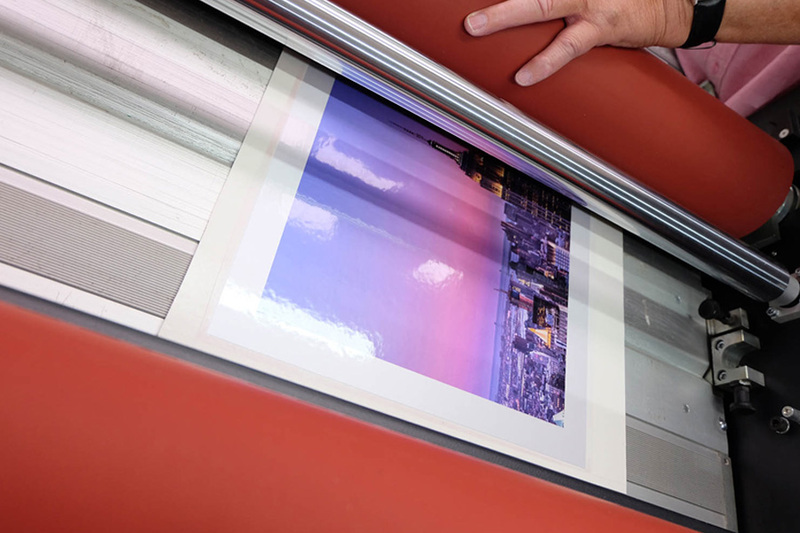 THESE PRICES ARE FOR LAMINATION ONLY – Please add the appropriate print / mount price to the mounting price.